Its often said “Focus on the Journey and not on the destination”. I am forced to focus on the “journey” in this post, merely because I was disappointed with the “destination”. The Auroville marathon was organized in its usual convivial manner on 12-02-2012 in a bid to spread the “Joy of Running”. The date coinciding with the Valentine week, the Auroville ashram settings, the kind volunteers at the water stations do just that. The organizers had invited Barefoot-Ted of the Born to Run fame, to give a talk before the pasta dinner, bringing running back to its basic elements. The course does its bit too - the trail winds through Matri Mandir, Certitude, Shanti, Sincerity, Grace and other landmarks. This year, however, the chill inducing imagery of the wide-spread destruction caused by Thane, the Hurricane that hit Pondi in Dec, leveling out large tracks of forest land, was staring at the runners. Felt much like my own PB (personal best) dreams being leveled on the race day. 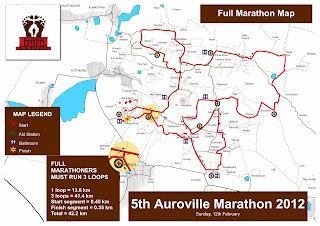 The course was off by about 500mts right from the 2nd km mark and then the deficit doubled over the 2 loops, adding more than a kilometer to the course. It was depressing to pass every milestone twice – once actually as measured by Garmin and then on the mile markers. It only amplifies the mental trauma, if you aren’t having a good race. My plan, to run an aggressive pace of 5min/km, proved to be the nemesis and I began to struggle as early as half way mark. My 5k splits - 24:32, 26:03, 25:04, 24:35, 27:00, 27:52, 32:36, 38:16, 16:35 also mirror the struggle after 20km. Running into the circle formed by the LED torch light, in the dark contributed to a slow second lap. The 30k was done in 2h:35mins, but somewhere between 33k to 40k, I had lost all motivation to keep up pace. I was swept by a Cyclone of negativity and all hopes of a PB were leveled. I finished the 42.2k in 4h:02m, the extra 1.5km added about 9mins to my official finish time of 4h:11mins. 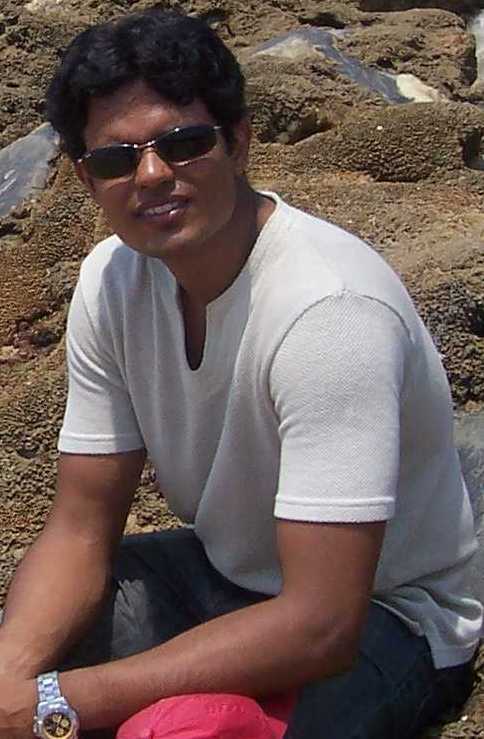 I was devastated, was sullen the entire trip back to Bangalore with Jugy. It hadn’t helped that I had shared the room at Ginger with D, who was against running a PB at Auroville from the very beginning. Yes, it is time to focus on the many positives – the journey / training. 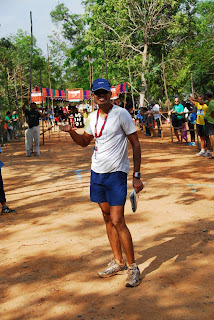 After a rather non-racing 2011, when I only accompanied Sunil on his long runs for his Comrades training and ran a couple of fast half marathons (Spirit of Wipro and Mysore Celebration in Oct). I picked up Furman’s First training program. The emphasis of this training was – Run Less, Run Faster. The idea of the program was to keep the weekly mileage relatively low (< 50km/week), with 3 key workouts during the week – intervals, tempo & long runs, plus 2 days of cross training. I was targeting paces for a 3:30 marathon finish, based on my 10k & HM timings. I choose 2 weight training days as cross training and hoped that my biking would take care of the cross training deficit. The long runs started as early as Dec and went all the way till Feb. All my long runs were around HSR and I did enjoy every one of them, running them mostly on Saturdays, Shreya’s working day. I fell into routine with the long runs; running about five 30k runs during Dec & Jan. All the 30k runs were done in about 2h:30m to 2h:45m and the run up looked very promising. Overall, it was a fantastic experience going through the rigor of training, checking each workout. I ended up missing only 1 week in all of the 16week training program. Personally, I like keeping the mileage higher for now and I may choose not to do this for the next few years. I lost the race, but didn’t want to lose the lesson, hence this post!